A recent court decision illustrates the risk that a trial represents, particularly a jury trial, and the powerful incentive that something called a “formal offer” can be to settle a case instead of going to trial. It is a decision of our Court of Appeal that was released March 10, 2014. The Plaintiff, Mr. Wafler, had been injured in a rear-ender crash. Approximately three years after the crash ICBC offered to pay $60,000.00 to settle his case. Approximately a year and a half later, they offered a bit more, i.e. $72,346.00. Approximately two months before the February, 2012, trial, ICBC made their last, best offer of $222,346.00. At the end of the two week trial, the jury awarded $53,111.00. 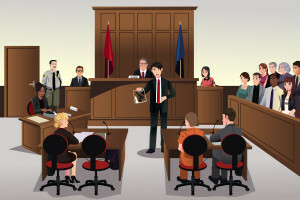 Settlement offers cannot be shared during a trial. After the judgment has been rendered, though, offers that are what we refer to as “formal” offers can be brought to the Court’s attention when dealing with “costs”. “Costs” is a legal term that means money the “winning” party is paid as compensation for the expense of a lawsuit. Lawsuits can be very expensive. In a personal injury case, the most expensive part of running a trial is often the tens of thousands of dollars that can be spent by both sides bringing highly paid medical and other specialists to court to testify. In circumstances where liability (fault) is agreed, a “win” in a personal injury case is any award of compensation for injuries and losses, however small. Unless there is a “formal offer” to upset the apple cart, the injured victim is awarded costs. In order to encourage more cases to settle, we came up with formal offers. A formal offer is simply one that uses particular wording that makes it clear that it can be used against you after a trial when it comes to costs. For costs purposes, a court ordered compensation award is not a “win” if it doesn’t beat a formal offer. Not only is it not a win, it can be a financially devastating loss. After the Court renders it’s decision, the ICBC lawyer quite reasonably asks the Court to hold you financially accountable for continuing with a lawsuit that should have been settled if the amount awarded is less than or equal to a formal offer. That accountability will most certainly include a lack of reimbursement for the thousands or tens of thousands of dollars your lawyer has spent running the trial, which you have to pay as “disbursements” as part of your lawyer’s bill. Adding insult to injury, it might also include having to reimburse ICBC for the disbursements as well as a portion of the lawyer fees they have paid to defend your case in the time period after the formal offer was made. After the dust settles, you can end up not receiving any financial compensation for your injury. More likely, you will end up owing money. Fortunately, the court has discretion about the consequences it imposes. The court carefully considers a number of factors, the most important being how reasonable it was for you to reject ICBC’s offers. In the Wafler case, the jury result came as a surprise to everyone. The judge found that it had been reasonable for Mr. Wafler to have expected an award substantially higher than the $222,346.00 that ICBC had offered and so it had been reasonable for him to reject that offer and proceed to trial. Another factor is the recognition that a loss for ICBC represents nowhere near the financial devastation of a loss for an individual person. ICBC is a mammoth insurance company while Mr. Wafler lives on a disability pension, had to sell many of his possessions, and had been evicted from his home because of his inability to pay rent. The Judge decided that he would require Mr. Wafler to pay his own disbursements, but did not require him to pay any of ICBC’s expenses. Even with that “mercy” extended, Mr. Wafler will likely end up owing money after the dust settles. The case went to the Court of Appeal because Mr. Wafler appealed what his lawyer argued was a perverse jury verdict. That appeal failed, the Court of Appeal finding that there was at least some evidence to support the verdict, even though the bulk of the evidence did not. In British Columbia, we don’t get to ask members of a jury their reasons for rendering a verdict to enable us to identify errors in judgment or understanding of the evidence or law. As a result, overturning a jury verdict is very difficult. Fortunately, ICBC’s cross appeal on the issue of costs also failed, though the end result to Mr. Wafler wouldn’t have made any difference, I expect. To a disability pension earner without assets, barely making it by, a big debt isn’t much different from a small one.